1. 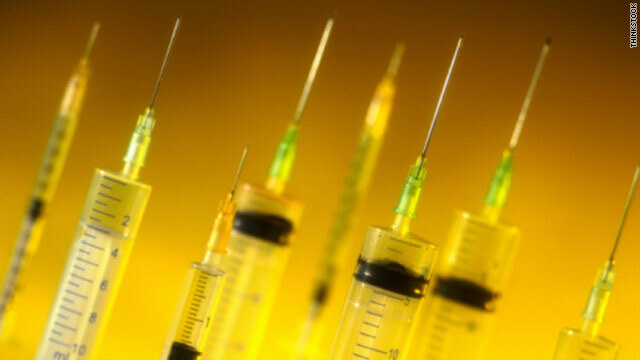 There is no scientific study to determine whether vaccines have really prevented diseases. Rather disease graphs show vaccines have been introduced at the end of epidemics when the disease was already in its last stages. In case of Small Pox the vaccine actually caused a great spurt in the incidence of disease before public outcry led to its withdrawal. 50. 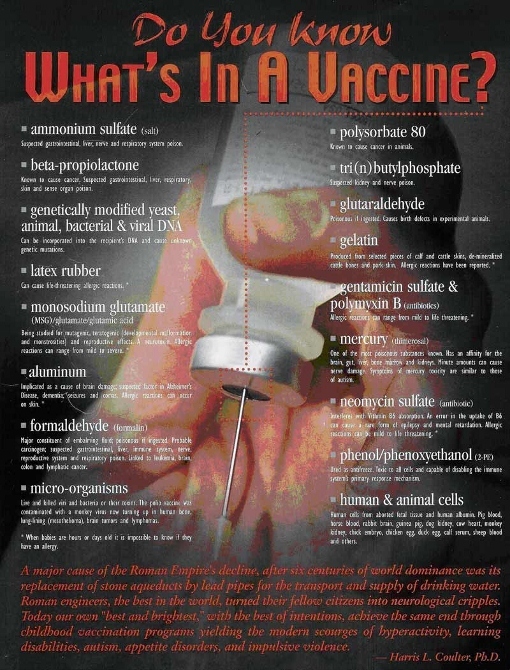 As per the Institute Of Medicine, USA, vaccine research for a probable link between vaccines and autism should not be conducted. 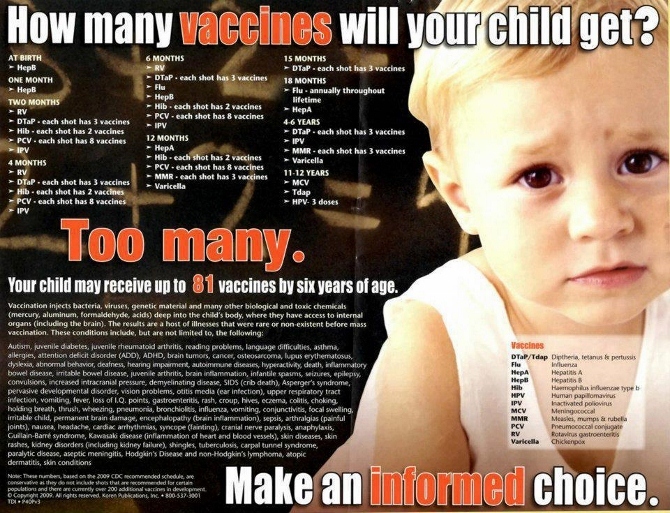 The Institute of Medicine in its last report on vaccines and autism in 2004 said that more research on the vaccine question is counterproductive: Finding a susceptibility to this risk in some infants would call into question the universal vaccination strategy that is a bedrock of immunization programs and could lead to widespread rejection of vaccines. The IOM concluded that efforts to find a link between vaccines and autism “must be balanced against the broader benefit of the current vaccine program for all children”. However inherently biased studies that try to disprove a link between vaccines and autism have been allowed and funded by the CDC. The Principal Coordinator of many of these studies (referred to as The Danish Studies) Dr Paul Thorsen, has recently been in the news for money laundering and fraudulently misappropriating a huge chunk of research funds channeled towards these studies calling into question the veracity of the conclusion reached in these studies. The CDC study done by Dr Thomas Verstraeten manipulated data as revealed by RTI activists. Dr Verstraeten later joined a vaccine MNC. (Early in his study, the lead author, CDC’s Dr. Thomas Verstraeten, found statistically significant associations between the amount of mercury (thimerosal) exposure children got from their childhood vaccines, and a wide range of brain disorders. However, the published version of the study (the one the authors say is accurate) found no evidence of a link to autism. Not disclosed was that Dr. Verstraeten had left CDC midstream during the study and had gone to work for Glaxo, a vaccine manufacturer). What does this all add up to? Infants should be sacrificed in order to perpetuate an unscientific procedure?